From 1976 to 2006, cricket's lone famous international venue in South America, the Bourda Oval in Guyana, developed a history of rained-out matches, disruptions by fans, riots of various intensities, and an abandoned Test in 1981. England were involved in these matches more than any other nation - in the aforementioned Robin Jackman Test of 1981, a washed-out ODI in 1990, and a rain-curtailed fixture in 2004. That 2004 encounter was a forgotten ODI classic, lost between the euphoria of Brian Lara's world-record match in Antigua and West Indies rivalling Greece's title win in Euro 2004 for the sporting shock of the year when they won the Champions Trophy. 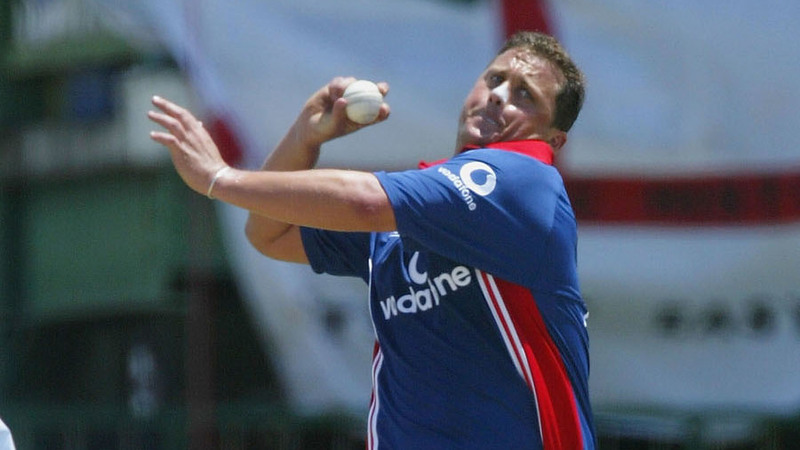 Darren Gough, England's premier fast bowler of the 1990s and early 2000s, was making his return to international cricket, after having given up on Tests the previous year. That tour was special for Gough because he had missed England's previous two visits to the Caribbean. "I was always called the first white West Indian to play for Yorkshire," Gough said. "I love the Caribbean. The calypso-style cricket that legends like Malcolm Marshall and Sir Viv played inspired me as a youngster. How the great West Indies team played was how I styled my cricket philosophy. "So although I was long past my best after 2001, that 2004 tour was great personally to finally play in the Caribbean - because it was a great career disappointment to miss the '94 and '98 tours, especially when I was no doubt one of best bowlers in the world." Similar to the last one-day international at Bourda, in April 1999 against Australia, the game was reduced 30 overs - and that was after helicopters, and a well-known local technique of burning the pitch, had been used to get the ground ready. Lara was absent after his world-record 400 effort a week earlier and local boy Ramnaresh Sarwan, captaining West Indies for the first time on his home ground, lost the toss and was asked to bat first. Sarwan recalled how that performance by Lara had given the whole squad confidence going into the match and series. "It was basically the same nucleus of the team that had won 4-3 in India in 2002-03 and had shown good signs during the 2003 World Cup," said Sarwan. "Guys like [Dwayne] Smith had emerged during the tours to Zimbabwe and South Africa, and [Ravi] Rampaul was the young Under-19 fast bowler everyone was impressed with. "There was [Dwayne] Bravo, who I recall telling me the first time I met him in a match at Queen's Park club a year before, that he would soon join me in the West Indies set-up. Looking back it was funny, but it was great to see him live up to his word, and that is the confident player he ended up being throughout his career." Shivnarine Chanderpaul, and later Chris Read were the only two batsmen to score freely that day on a pitch that proved difficult for batting. England, according to Gough, who dismissed Chris Gayle early, had planned for Chanderpaul being able to master his home conditions. But certainly not so superbly as he eventually did after scoring only ten runs off his first 34 balls. The second half of his knock was reminiscent of his exhilarating Test hundred against Australia at the same venue in 2003. 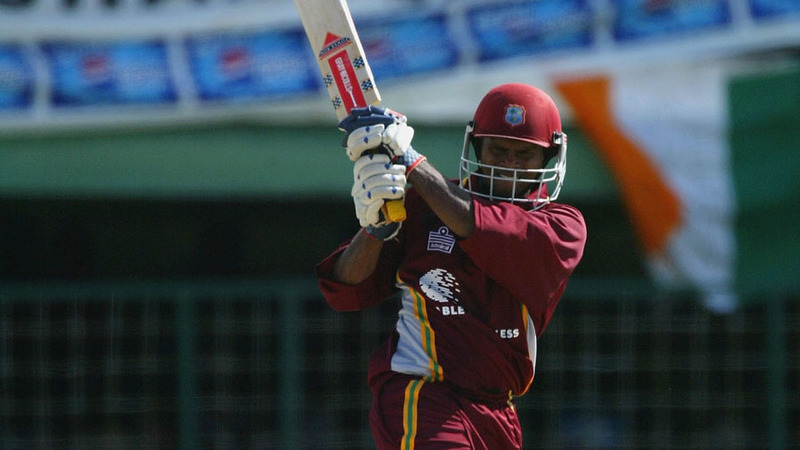 "Chanderpaul played brilliantly that game on his home ground. It was not an easy wicket to score on. We even bowled [Marcus] Trescothick!" Gough recalled. "So it was a big dismissal getting him out near the end, as he was attempting to further accelerate. "I was quite pleased with my performance first time back. I bowled a lot of slower balls on the day and the usual yorkers at the end - it was very much a pitch that suited my type of bowling." For Smith and Rampaul, it was their first one-day international in the Caribbean and they remember the match for specific reasons. "My memory from that game is dressing-room jokes, talks in the dressing room about cricket and speaking with senior players, trying to learn as much as possible from them," said Rampaul, who had been West Indies' bowling star in the 2004 Under-19 World Cup a month earlier. "I prayed that the rain would stop so I could go out and get a chance to actually play my first game in our region. Apart from Chanderpaul playing a spectacular innings of 84 to get us to a good total, it was how the crowd chanted his name from his first run to his 84th. What wonderful support when the entire Bourda stadium is calling your name." "A lot of people play the shot now in T20 cricket, but that day was the first time I ever saw a fast bowler getting swept for six, while I was batting with Shiv," Smith said. Considering the fast bowler in question was Steve Harmison, who had just wrecked West Indies in the Test series and was bowling somewhere close to his career peak, it was one of the game's memorable moments. Marcus Trescothick and Andrew Strauss, playing in his second international, steadied the chase during a second-wicket partnership, before a combination of Bravo's clever variations, Gayle's offspin and Smith's brilliant fielding put West Indies back in control. "When I got Ian Blackwell out, he was one of the set batsmen on 27 and had already hit two sixes. Two balls later Chris Gayle got [Rikki] Clarke run out, so I was quite pumped, hoping we could get a victory in that game", Rampaul said. In a lost cause on England's limited-overs tour to South Africa in 2000, Read had shown glimpses of his hitting ability at the death. Before this match at Bourda, Read had been dropped for Geraint Jones for the Antigua Test. His recall was surprising for many in the touring English media. Read hit West Indies' best ODI death bowler, Corey Collymore, for three massive sixes in the direction of the Rohan Kanhai stand, including 18 off the penultimate over, after England needed 20 off 12 balls. "That's when Read was at his best, when the shackles were off," said Gough, who had the best seat in the house at the non-striker's end. "He has played innings like that for many years at Nottinghamshire." "People in England knew he was good player, but I guess, looking back, that was a period, post Alec Stewart's retirement, where a lot of keepers emerged, such as Read, James Foster, Geraint Jones and Matt Prior. For a long time, the selectors couldn't decide which one they wanted, or inversely, none of those guys ever fully made the position their own." Read was dismissed in the final over, but England got over the line in front of a jam-packed partisan home crowd - this was one of the rare occasions on an overseas tour when the Barmy Army was almost non-existent. "That's cricket. On one unfortunate day Corey didn't execute," Sarwan said. "He was disappointed that he had let the team down, but knowing and playing with him since our Under-19 days, I told him, if the situation happens again, I would always give him the ball, and more often than not Collymore always bowled well for West Indies in the slog overs". "It's funny to look back at how the game has changed. 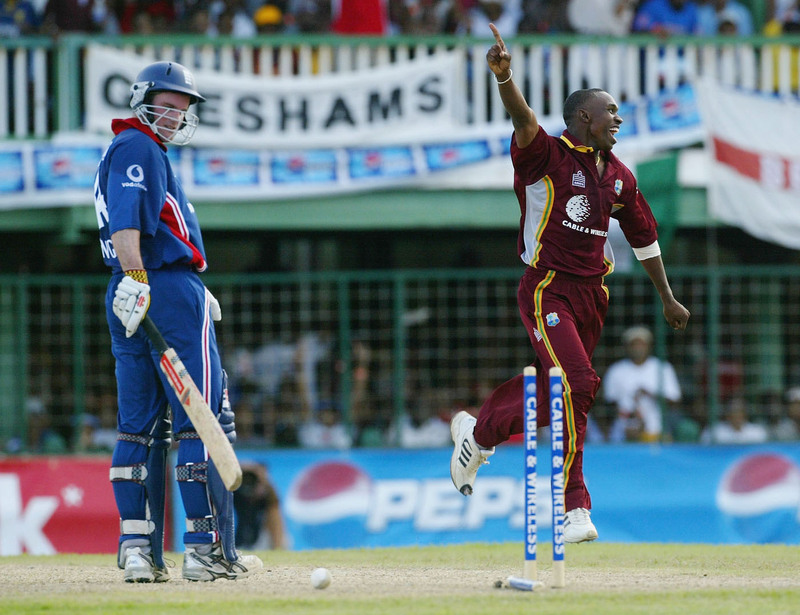 In 2004 [with England] needing 20 off two overs, it was a shock that we lost, whereas in the modern T20 era of big bats and many grounds not too dissimilar in dimensions to Bourda - the batting side would be favourites," Gus Logie, West Indies' coach in that game, said.